Homeowners sell every six-to-seven years an average. Some homes are left behind as part of an estate, while others are rentals that are vacated regularly. And they all need clean outs. Foreclosures have steadily declined across the market, but home sales have gone up significantly over the past year or so. As the Baby Boomer generation continues to age, go into retirement, and increasingly downsize and relocate, real estate professionals are staying busy. Odds are, as a real estate professional, you are that you are probably dealing with any number of these scenarios yourself. In addition, you are likely to be dealing with estate sales, vacated rentals in need of major clean outs, and homes that have been remodeled just prior to going on the market. All of these situations lend themselves to the need for home clean outs. And that is something that, while certainly necessary, is not a task most folks want to take on. In fact, according to a number of studies, the average homeowner sells their home after living there about six years. In that time there can be large quantities of accumulated items that often end up being left in the garage, on the side of the house, or in a basement. And, once the previous homeowners have moved out, all items they didn't bother to take with them and simply left behind, needs to be cleaned up and hauled away. While it may seem harsh to refer to these items as “junk” the fact is that in order for a real estate agent to show the home or have it prepared for the new owners, a property clean out is needed so these items can be removed. The fact is, cleaning out a vacant home or rental property doesn't have to be a DIY project for any real estate professional. In addition to having a good cleaning service to clean the interior of a property, finding a good junk hauling service is needed, as well. Many house clean outs and foreclosure clean outs require removing and hauling the junk, furniture and other debris that is often left behind. And this is not always a job just anyone can do. Nor should they have to! For example, foreclosed homes are sometimes sold in an “as-is” condition,which means the foreclosing institution doesn’t make any major repairs. But a good real estate professional knows that it is still necessary to clean out the property prior to an open house and subsequent sale. And because of the amount of work that's often needed, really good professionals know that it is more cost-effective in those cases to outsource the work to a professional foreclosure clean out service like Junk King. In addition, a quality junk hauling firm will work hard to protect and preserve your collateral throughout the foreclosure process and up to the sale of property. They understand the needs of real estate professionals and are knowledgeable of investor/insurer guidelines so that all the work is completed in accordance with the applicable specifications. When you decide to outsource the junk hauling part of your real estate clean out, the challenge is to determine which firm is the right one for your job. You can certainly find plenty of guys with trucks willing to do the job, but that can end up costing you more than you hoped to save. This is another reason why Junk King really is the firm of choice. Junk King is the leading business to business junk removal service in North America and our real estate junk removal services take care of the clean out process for you. 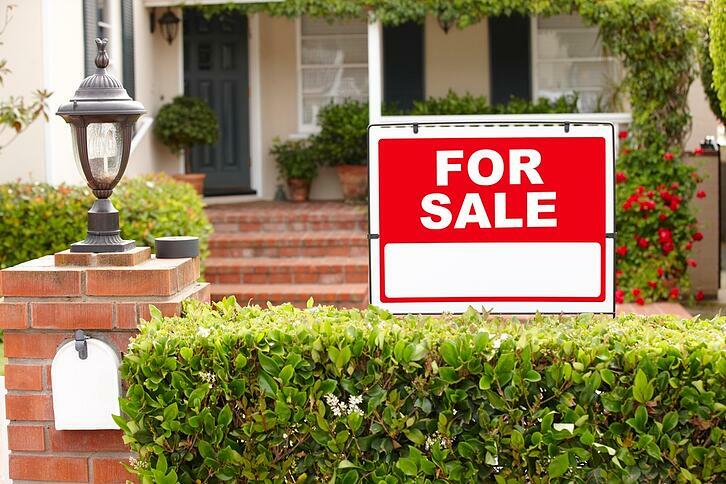 We can take that big task off your to-do list and closer toward getting your property ready to sell or rent. We understand that as a real estate professional you need your properties to be pristine, and you want to be able to list them as quickly as possible . We also understand that you appreciate hassle-free services and don't have time for problems with a property. And, since your clients have enough to deal with when selling their home, having the junk removal handled by someone else is a huge bonus for both of you. One of the best things about hiring Junk King is that we recycle a much of the material we pick-up. This is proof of our commitment to being an eco-friendly removal service. Junk King offers fast and friendly junk hauling with an emphasis on eco-friendly practices. We recycle or donate 60% or more of the junk we collect — including renovation debris, furniture and appliances, and even clothing and personal items. 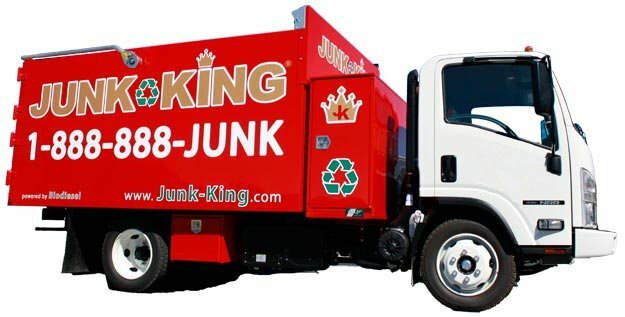 Real estate ventures can proudly call Junk King their green partner for real estate junk removal. Junk King handles junk removal services for real estate professionals across the U.S. and we are the highest rated service brand in the nation. We are insured and offer post-escrow payment. You can depend on Junk King for speed, reliability and for the peace of mind that comes with getting your property ready fast. Our team specializes in large waste removal and trash hauling. We can be on location in mere minutes, so call us today! You can trust us to get rid of your unwanted items in a professional and courteous fashion. If you have questions about what we do or what we believe, give us a call at 1-888-888-JUNK (5865).